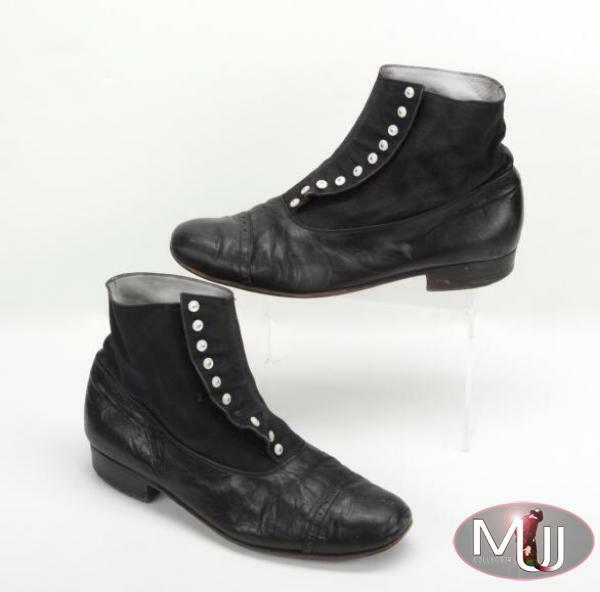 A pair of black leather spat shoes with pearlized faux buttons. 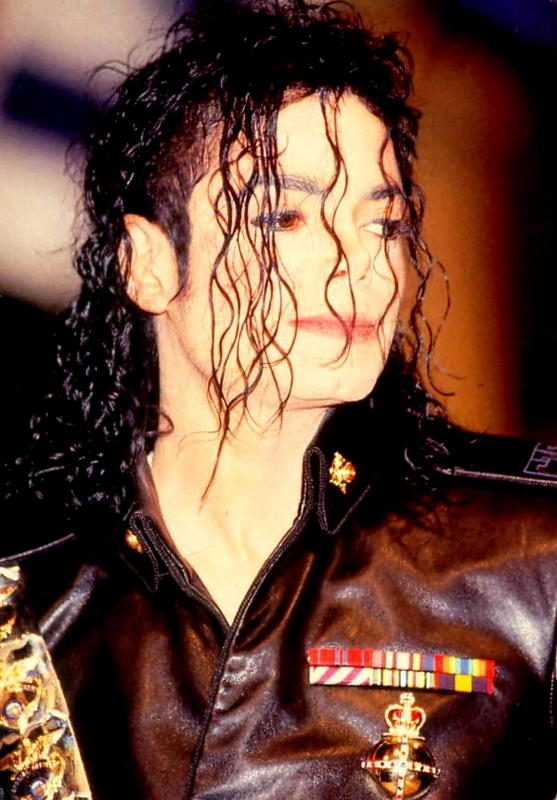 Worn by Michael in Africa during a ceremony where he was crowned honorary "King of Sani", a West African Monarchy. The event was photographed and commemorated in Jet Magazine, dated March 16, 1992. 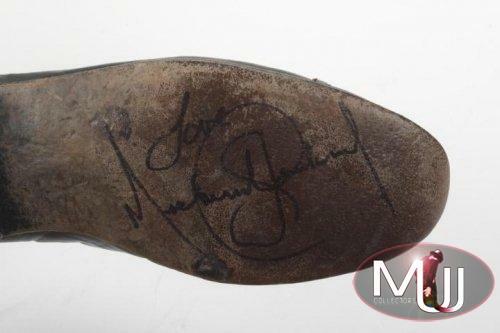 Signed on the right sole in black felt tip pen, "Love Michael Jackson". Sold by Julien's Auctions (Lot #594) for $21,760 at their 2010 Icons & Idols auction. All screen captures are the property of their respective owners.